Paradise Beach in El Nido deserves its name. 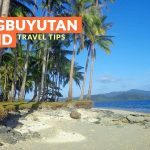 It has powdery white sand, emerald waters that glisten, dancing coconut trees, and a middle-of-nowhere ambiance (if you’re lucky enough to have it to yourself). It is part of Tour D, and it is the ideal destination for those who want to simply relax and unwind, wade in the waters, get a tan, or forget about all sorts of stress. There are many flights to and from Puerto Princesa. From Manila, major airlines such as Philippine Airlines, Cebu Pacific, and AirAsia have daily and regular flights. Buy your plane tickets months in advance to get the best and lowest possible price. 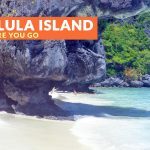 There are also direct flights to El Nido from Manila via Air SWIFT, but this will cost you more. Once in Puerto Princesa, you have the option to board the RoRo and Cherry Bus or one of the many vans that travel to El Nido. The bus option costs around P290-P480/way and the van’s fare costs around P550 to P600 per way. Via van, head to Robinson’s Mall where the van terminal is located. Via bus and RoRo bus, go to Junction 1 (P8), and then ride a multi-cab going to San Jose Terminal. You can also hire a tricycle for P80-100. 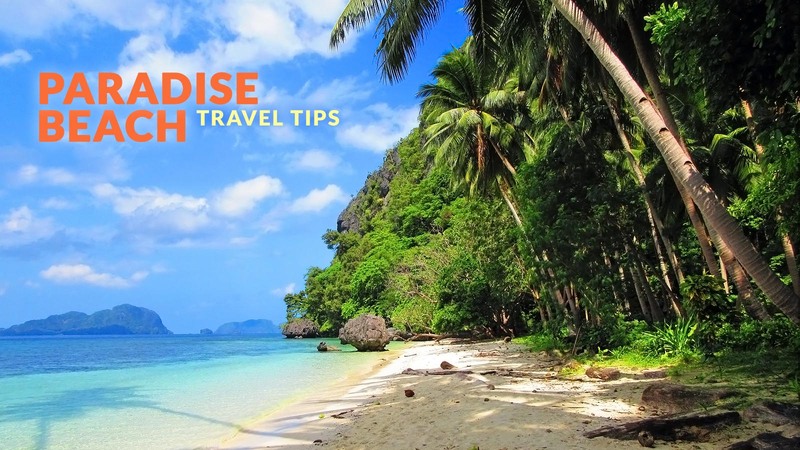 Once you arrive in El Nido, take a tricycle going downtown or directly to your hotel. 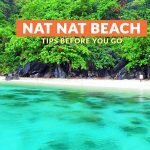 From either the town proper or along Bacuit Bay, book El Nido’s Tour D.
Paradise Beach is included in El Nido Tour D.
Note: The local government standardizes the tour rates. Island hopping tour operation starts at 9am and ends at 4pm. 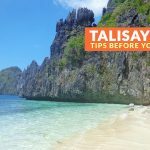 Paradise Beach has a little bit of what El Nido has to offer — emerald glass-like waters that glisten under the sun, an idyllic beachscape characterized by dancing coconut trees, powdery white sand, and a relaxing ambiance. Get a tan, wade or swim in the waters, read a book, have a snack; the beach isn’t named ‘Paradise’ for nothing. You can spend as much time you want on the beach if you’re on a private tour. EL Nido has working ATMs, but there is always a line and the possibility of the machine running out of cash is high. Bring cash with you and make bookings online to avoid the hassle of running out of money. Tour D isn’t regular, so you might have to rent a boat for yourself or group. Bring your own gear if you plan to snorkel but don’t want to rent. You can buy your own snacks and drinks, but you can also ask the boatman to buy food and cook for you. Bring a power bank to keep your phone and camera charged for the trip. Keep the place clean. Practice proper garbage disposal. Leave nothing but footprints. Follow the rules and regulations. 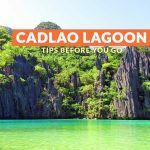 El Nido has other joining tours (A, B and C) and places you can visit by tricycle or on a motorbike. Watch the sunset at Marimegmeg Beach or spend a day or night in Nacpan Beach. 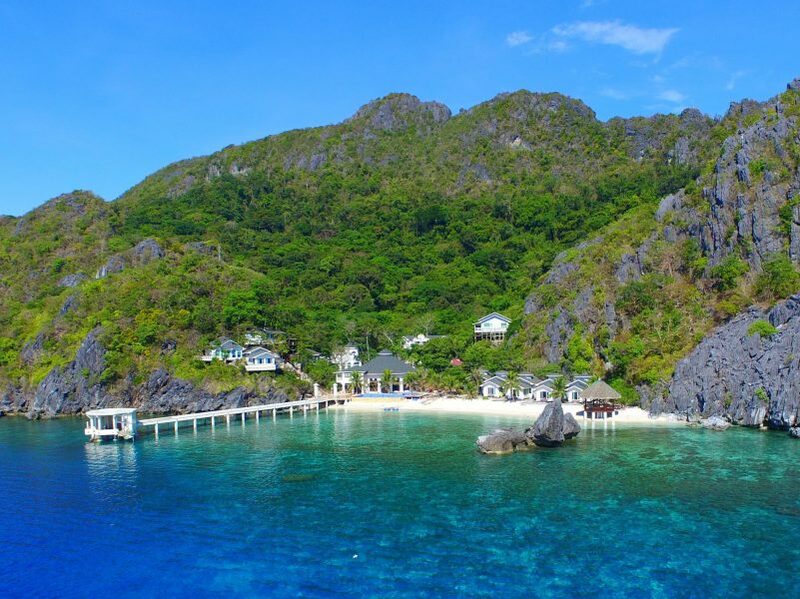 Whether budget or high-end, you have plenty of choices in El Nido. Here are some of the top-rated accommodations according to Agoda users as of September 2017. Photo was provided by the hotel via Agoda. Joshua is a wanderer at heart but a writer by profession. He plans to explore the world one province, city and country at a time.